Hot Casa Records is an Afro soul and tropical funk label created in 2002 in Paris by DJ Julien Lebrun and Djamel Hammadi aka Afrobrazilero. The idea of the label was to produce forgotten artists and rare vinyl gems from the past by licensing directly to the musicians or the labels, and also to record and develop upcoming new talents. Hot Casa Records holds strongly to the traditional way of producing and making music, with a few principles in mind: we always try to press our releases on a vinyl 7? or LP, try to have original artwork, and try to promote classic, soulful sounds with social content and a dope sound quality. We came from a soul and jazz culture and were raised during the hip-hop golden era, always looking for the perfect loop and the ultimate break. We have traveled throughout the years to India, Brazil, Russia, the U.S. and especially the African continent, searching for the lost golden tapes from the past. Double LP version. 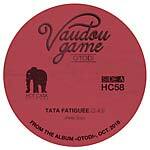 Vaudou Game return to Hot Casa with Otodi, their first album in two years. No one had been through those doors in years. Unchanged, seemingly untouched, just a guard watching over it -- one wondered whether the place would ever see the light of day again. Built in the 1970s by Scotch, there were only twenty such places in the entire world. Twenty studios, all identical. Most had undergone a digital makeover in the 1980s, but not this one. Situated in Lome, Togo this studio had stayed true to its original form. Silent and uninhabited but waiting for one thing, and one thing only: for the sacred fire to be lit once again. Through thick layers of dust, the console was vibrating still, impatient to be turned on and spurt out the sound so unique to analog. That sound is what Peter Solo and his band Vaudou Game came to seek out. The original vibrations of Lome's sound, resonating within the studio space, an undercurrent pulsing within the walls, the floor, the entire atmosphere. A presence at once electrical and mystical, sourced through the amps that had never really gone cold, despite the deep sleep that they had been forced into. In taking over the studio' s 3000 square feet, enough to house a full orchestra, Vaudou Game had the space necessary to conjure the spirits of voodoo, those very spirits who watch over men and nature, and with whom Peter converses every day. For the most authentic of frequencies to fully imbibe this third album, Peter Solo entrusted the rhythmic section to a Togolese bass and drum duo, putting the groove in the expert hands of those versed in feeling and a type of musicianship that you can' t learn in any school. This was also a way to put Otodi on the path of a more heavily-hued funk sound­ the backbone of which maintains flexibility and agility when moving over to highlife, straightens out when enhanced with frequent guest Roger Damawuzan's James Brown-type screams, and softens when making the way for soulful strings. Snaking and undulating when a chorus of Togolese women takes over, guiding it towards a slow, hypnotic trance. Up until now, Vaudou Game had maintained their connection to Togo from their base in France. This time, recording the entire album in Lome at Otodi with local musicians, Peter Solo drew the voodoo fluid directly from the source, once again using only Togolese scales to make his guitar sing, his strings acting as channels between listeners and deities. Vaudou Game return to Hot Casa with Otodi, their first album in two years. No one had been through those doors in years. Unchanged, seemingly untouched, just a guard watching over it -- one wondered whether the place would ever see the light of day again. Built in the 1970s by Scotch, there were only twenty such places in the entire world. Twenty studios, all identical. Most had undergone a digital makeover in the 1980s, but not this one. Situated in Lome, Togo this studio had stayed true to its original form. Silent and uninhabited but waiting for one thing, and one thing only: for the sacred fire to be lit once again. Through thick layers of dust, the console was vibrating still, impatient to be turned on and spurt out the sound so unique to analog. That sound is what Peter Solo and his band Vaudou Game came to seek out. The original vibrations of Lome's sound, resonating within the studio space, an undercurrent pulsing within the walls, the floor, the entire atmosphere. A presence at once electrical and mystical, sourced through the amps that had never really gone cold, despite the deep sleep that they had been forced into. In taking over the studio' s 3000 square feet, enough to house a full orchestra, Vaudou Game had the space necessary to conjure the spirits of voodoo, those very spirits who watch over men and nature, and with whom Peter converses every day. For the most authentic of frequencies to fully imbibe this third album, Peter Solo entrusted the rhythmic section to a Togolese bass and drum duo, putting the groove in the expert hands of those versed in feeling and a type of musicianship that you can' t learn in any school. This was also a way to put Otodi on the path of a more heavily-hued funk sound­ the backbone of which maintains flexibility and agility when moving over to highlife, straightens out when enhanced with frequent guest Roger Damawuzan's James Brown-type screams, and softens when making the way for soulful strings. Snaking and undulating when a chorus of Togolese women takes over, guiding it towards a slow, hypnotic trance. Up until now, Vaudou Game had maintained their connection to Togo from their base in France. This time, recording the entire album in Lome at Otodi with local musicians, Peter Solo drew the voodoo fluid directly from the source, once again using only Togolese scales to make his guitar sing, his strings acting as channels between listeners and deities. The French Afro funk band is back from Togo with a forthcoming album called Otodi. Otodi was the name of the recording studio in Lomé, closed in 1987, that band leader Peter Solo and his crew reopened during the spring 2018 to record the 13 brilliant all analog songs featured on the album. Here comes a 7" single. Pure Afro funk with Togolese soul. 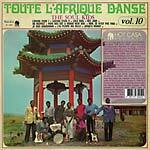 Hot Casa present a reissue of The Soul Kids' Toute L'Afrique Danse Vol. 10. This is a rare gem of a record from the fantastic soul band The Soul Kids, stemming from the Democratic Republic of Congo, which includes covers of James Brown & The Mighty Flames' hit singles "Licking Stick" (1968) and "Papa's Got A Brand New Bag" (1965), Wilson Pickett's "Hey Jude", and a French vocal version of Otis Redding's soul hit, "Respect". This amazing young band, which released only four 7" singles and one album, is a great example of the influence of soul music and French pop bridging to the new Afro soul scene that the musicians of Kinshasa were involved in during the time of post-independence. 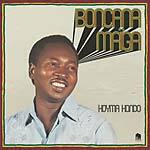 Ngoma was one of the first record labels intent on providing local artists' recordings from both sides of the Congo river to the people of the DRC and West Africa. Created in 1948 by a Greek man by the name of Nicolas Jeronimidis, the Ngoma label was active through 1968 and pressing in France until 1971, leaving a tremendous catalog, including this historical and essential soul masterpiece. 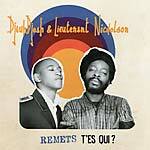 A rare and highly-desirable Afro digital soul EP, recorded in Abidjan (Ivory Coast) in 1981. Originally from Martinique, Clemmarise Voltine, aka Mac Gregor, moved to Abidjan in 1979 searching for, what she called, her "negritude quest". She sang about her love for her adoptive city until her death in April 2004. A visionary composer, poet, and singer, mixing Creole, French, and Nouchi, she made a brilliant musical bridge between the West Indies and Ivory Coast backed by a soulful group of top Ivorian musicians, such as the great Houon Pierre. Fully Licensed in Abidjan. Remastered at Carvery Studio. 45RPM. 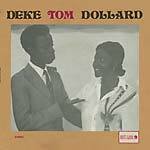 Mind-blowing Afro soul music from Ivory Coast, served up by Deke Tom Dollard, an obscure artist who only recorded two albums in 1979 and 1981, but also created an original funky fusion with the Bété language. 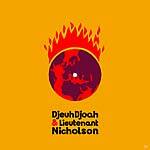 A selection of four amazing tracks recorded in Abidjan on two different records label called War Records and As Records. The music here is a mixture of funk with heavy basslines, traditional percussions, funky guitar riffs, nice horns section, and lyrics in Beté. The song "Demonde" is inspired by harmonies of the famous "Dance To The Drummer Beat" by Herman Kelly. Those two rare records were found by Afrobrazilero, aka Djamel Hammadi, and never appeared on the vinyl market. It's almost impossible to get information about this singer and composer, or the musicians involved in the recording sessions. Most of the recording sessions were lost by the labels Hot Casa licensed the tracks with here. Unique! A must have for all the Afro funk lovers. Remastered by The Carvery. The Afro funk side of the Latin soul maestro. Born in Gao (Mali), Boncana Maïga is one of the most talented and popular producers of West African. During a recording session in New York City at the beginning of the '80s with a lot of musicians from Puerto Rico, Venezuela, or Colombia, Maïga recorded few rare funky tracks with heavy breaks. Hot Casa reissue four rare tracks dedicated to dancefloor, recorded between 1978-1982. Includes a rare soundtrack for the oil company of Ivory Coast called "Petroci". Fully licensed; Includes interview; 45 rpm; Remastered by The Carvery. Hot Casa present a reissue of Itadi's album Inye. 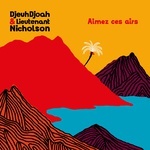 Afro funk and political soul from Togo. Recorded in the beginning of the '80s and self-produced by Itadi in 1983, this obscure album contained deep soul and controversial rare grooves backed by the five band members called the Afrofunk Band de Lomé. Itadi's music is unique, in his second album, he kept the same recipe: a mixture of soul, reggae, hi-life, and funk with heavy lyrics that sound like slogans -- this caused him big trouble after his release. He was obliged to escape the country to the USA. A real definition of a revolutionary musician! This deluxe LP contains two unreleased tracks. Also includes an interview and photos -- fully licensed by Itadi's family. Remastered by Frank Merritt at Carvery Studio. A 12" single from the incredible French Afro funk band, including remixes by Osunlade, under the collective name of Yoruba Soul. Since their first acclaimed album Apiafo (HC 032CD/LP, 2014), these Lyon (France) natives never turned down the heat. When it came time for them to harness their Afro soul sound for a second time, they turned their attention to their analog strengths. Kidayu (HC 046CD/LP, 2016) is the name of the second opus which means "sharing": it's exactly what those versions of "On Se Pousse" are about, a great meeting of two ardent defenders of Afro soul sounds. 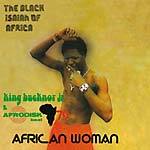 Hot Casa present a reissue of King Bucknor Jr. & Afrodisk Beat 79's African Woman, originally released in 1979. African Woman is a fantastic Afro-beat album from the Fela Anikulapo Kuti disciple and Kalakuta Republic member. 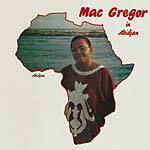 A sublime spiritual and political session recorded in 1979 at the EMI studio in Lagos, Nigeria. Arranged and self-produced, Kingsley Bucknor's second album, hopelessly obscure and impossible to find, ranks alongside the best Afro-beat albums in history. At the age of 19, King Bucknor Jr., also known as the Black Isaiah of Africa, released his second album backed by a 16-piece band called The Afrodisk, and ten background singers. Two long and hypnotic grooves with all the Afro-beat ingredients: fluid and complex drums patterns, strong horns, female voices on chorus, strong lyrics, beautiful keys, and horns solos. Essential for all Afro collectors and music lovers. Vinyl replica; Remastered by Carvery (UK); Includes inner sleeve with an interview. 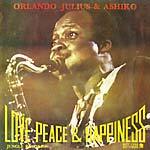 Hot Casa present an official reissue of Orlando Julius & Ashiko's Love, Peace & Happiness, originally released in 1978. A hard to find, pure Afro funk spiritual grail by the Afro soul maestro. Born in 1943 in Ikole-Ekiti in Ondo State, Nigeria, Orlando Julius Ekemode (Orlando was really a nickname, taken from the Nigerian actor, Orlando Martins) started in music at an early age, becoming the school drummer and learning flute, bugle, and other instruments at St Peters Anglican School in Ikole-Ekiti. A Nigerian musician, singer-songwriter and multi-instrumentalist, he is credited as one of the first musicians to fuse US R&B into traditional highlife music, creating his own influential Afrobeat sound during the mid-60s. From his time playing in the USA during the 1970s onwards, he is credited with bringing African music to a broader audience and famously co-composed the song "Going Back To My Roots" with Lamont Dozier. In 1978, Orlando Julius Ekemode decided to produce this amazing session, originally recorded between Maryland and West Virginia, and released in limited quantity in Nigeria by the obscure label Jungle Records. Six stunning monster Afro funk tracks, recorded by eight musicians based in Oakland. Fully licensed with the artist and remastered by Carvery. Essential! 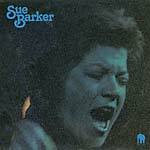 First reissue of Sue Barker's sole album, a fantastic, rare soul-jazz LP recorded in Adelaide, Australia, in 1976, and originally released the same year by Crest International. 180-gram vinyl. Sue Barker is a jazz singer who was never afraid of throwing in a little soul -- most of the album features covers of songs made famous by Duke Ellington, Marvin Gaye, Curtis Mayfield, and James Brown. And Sue Barker is also more than just a vocal album -- there's a lot of space for instrumental solos from Barker's team of top Adelaide musicians. Her hip seven-piece combo perfectly matches all of her vocal inflections -- jazzy when needed, with more soul at other moments, and often with more of a '60s acoustic mode than the more electric and groovy instrumentation used by other singers of the time. The arrangements are by Grahame Conlon, the guitarist in the group. 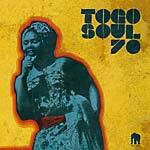 Hot Casa present Togo Soul 70: Selected Rare Togolese Recordings From 1971 To 1981. A treasure-trove of rare and unusual recordings, mostly recorded in Lomé during the '70s - a fusion of traditional voodoo chants, raw soul and Afro jazz. Finding these tracks and their rights holders hasn't become any easier even after few trips all over this west African country bordered by Ghana, Benin and Burkina Faso. With Togo Soul 70, Hot Casa have selected 13 tracks, a snapshot of hundreds of rare and often forgotten tapes from the most prolific, professional and exciting phase of the country's recording history, including international stars like Bella Bellow (who even performed at Maracana Stadium in Brazil), or Roger Damawuzan, referred to as the James Brown from Lomé, and forgotten tapes and brilliant songs in the Mina, Kabyié and Fon languages. Many of the tracks featured here are peppered with innovation and experimentation, highlighting how diverse the music scene in Togo was at the time, even if the political context influenced their creation. A must have for all music lovers. 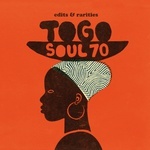 This selection was used as the soundtrack for the documentary Togo Soul 70, directed by Liz Gomis and DJ Julien Lebrun. Features: Akofa Akoussah, Napo De Mi Amor, Aimé Orchis Mathey, Toite Sandja, Gabelo, Wini & Fefe, Adamah & Agbote, Vewonyi DD, Dk Pilo and Yta Jourias. 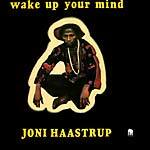 Hot Casa reissues Joni Haastrup's Wake Up Your Mind, originally recorded in 1978. Growing up in a royal household in Nigeria, Joni Haastrup began his musical journey performing for his brother's band Sneakers and was quickly snapped up as a vocalist for Orlando Julius Ekemode and his Modern Aces's 1966 Super Afro Soul album (VAMPI 091CD), one of Afro-beat's formative albums. Soon after, Ginger Baker of Cream fame replaced Steve Winwood with Joni on keys for Air Force's UK concerts in '71 and the success of the collaboration led to further shows with Baker as part of the SALT project before he returned to Nigeria to set up MonoMono. Back in London in 1978, Joni recorded his solo gem Wake Up Your Mind for the Afrodesia imprint. Laced with funk basslines, swirling keyboards and screaming guitars, this is Joni's most "western" record but at the same time, unmistakably African in origin. From the slow-motion disco of "Greetings" to the stone-cold groove of "Watch Out" to the Reuben Wilson-style funk of "Free My People" Joni was soaking up the sounds of the times and blending them with the music of his roots. Limited repress of Hot Casa's 2011 reissue. Deluxe gatefold sleeve. LP version. Gatefold sleeve. When recording Kidayu, the album from Vaudou Game, Peter Solo immersed his Lyon companions in the flourishing Afro-beat rhythms of the 1970s along with traditional song. Marked at times by James Brown-style shouts, Kidayu pairs voodoo harmonies with funk and blues. Born in Aného-Glidji, Togo, the birthplace of the Guin tribe and a major site of the Voodoo culture, Peter Solo was raised with this tradition's values of respect for all forms of life and the environment. At an early age, he made a makeshift guitar, and his music propelled him into the spotlight. Mastering traditional percussion instruments, his desire to discover the world and to carry his practice forward led him to England, where he became immersed in gospel music and then to France, where he calls home today. The idea of integrating the haunting voodoo lines, sung in honor of the divinities, into energetic '70s Afro-funk, is, in Solo's mind, an obvious extension of the analogy he found between this voodoo tradition and trance inducers such as the soul, funk, and rhythm 'n blues of James Brown and Otis Redding. Solo had a vision of codifying the musical scales that are found in sacred songs of Beninese and Togolese vodun music. Entirely produced, recorded, mixed and mastered using vintage material and instruments produced in the '70s, old cassette tapes were the "grigris" (or lucky charms) which proved most effective to ward off digital corruption of their music and allow them to thrive as a tight-knit group. "Kidayu" means "sharing" in Kabye, the language spoken in northern Togo, and sharing, is the philosophy of Vaudou Game. In songs like "Natural Vaudou", "Chérie Nye" and "La vie c'est bon", the unbeatable trance rhythm inherited from James Brown and Fela Kuti are evident. Across Kidayu, Vaudou Game sound like the big bands from the golden age of Ethiopian dance music but it's in songs like "La dette", "Revolution" and "Elle décide" where they show their greatest inspiration - James Brown. In using the original form of ecstatic voodoo rituals, he decorates his songs with guitars, keyboards, bass, rhythms and counter rhythms, and a steaming pair of brass. On Kidayu, Solo is joined by: Vicente Fritis - keyboards/backing vocals; Jerôme Bartolome - saxophone/percussions/backing vocals; Guilhem Parguel - trombone/percussions/backing vocals; Simon Bacroix - bass/backing vocals; Hafid Zouaoui - drums; Stephane Pauze - sound engineer. When recording Kidayu, the album from Vaudou Game, Peter Solo immersed his Lyon companions in the flourishing Afro-beat rhythms of the 1970s along with traditional song. Marked at times by James Brown-style shouts, Kidayu pairs voodoo harmonies with funk and blues. Born in Aného-Glidji, Togo, the birthplace of the Guin tribe and a major site of the Voodoo culture, Peter Solo was raised with this tradition's values of respect for all forms of life and the environment. At an early age, he made a makeshift guitar, and his music propelled him into the spotlight. Mastering traditional percussion instruments, his desire to discover the world and to carry his practice forward led him to England, where he became immersed in gospel music and then to France, where he calls home today. The idea of integrating the haunting voodoo lines, sung in honor of the divinities, into energetic '70s Afro-funk, is, in Solo's mind, an obvious extension of the analogy he found between this voodoo tradition and trance inducers such as the soul, funk, and rhythm 'n blues of James Brown and Otis Redding. Solo had a vision of codifying the musical scales that are found in sacred songs of Beninese and Togolese vodun music. Entirely produced, recorded, mixed and mastered using vintage material and instruments produced in the '70s, old cassette tapes were the "grigris" (or lucky charms) which proved most effective to ward off digital corruption of their music and allow them to thrive as a tight-knit group. 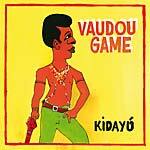 "Kidayu" means "sharing" in Kabye, the language spoken in northern Togo, and sharing, is the philosophy of Vaudou Game. 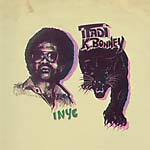 In songs like "Natural Vaudou", "Chérie Nye" and "La vie c'est bon", the unbeatable trance rhythm inherited from James Brown and Fela Kuti are evident. Across Kidayu, Vaudou Game sound like the big bands from the golden age of Ethiopian dance music but it's in songs like "La dette", "Revolution" and "Elle décide" where they show their greatest inspiration - James Brown. 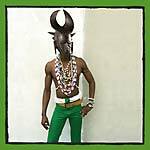 In using the original form of ecstatic voodoo rituals, he decorates his songs with guitars, keyboards, bass, rhythms and counter rhythms, and a steaming pair of brass. On Kidayu, Solo is joined by: Vicente Fritis - keyboards/backing vocals; Jerôme Bartolome - saxophone/percussions/backing vocals; Guilhem Parguel - trombone/percussions/backing vocals; Simon Bacroix - bass/backing vocals; Hafid Zouaoui - drums; Stephane Pauze - sound engineer. Hot Casa present a reissue of Talkin' Bass Experience an ultra-rare Afro-funk album by Keni Okulolo, originally released in 1977. This was the first album from the famous bass player and band leader of the Nigerian band, Monomono. 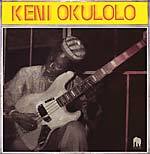 Keni Okulolo is one of a few living Nigerian musicians with roots in both traditional village music and funky West-African popular genres and he was voted five times as Nigeria's best bassist by the Nigerian Association of Music journalists. This reissue features three amazing tracks recorded in 1974 at EMI studio, taken from his ultra-rare and so hard to find Talkin' Bass Experience album and includes the song "Funky People". 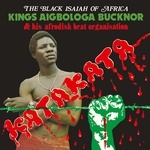 "Funky People" was produced during the famous "Mixed Grill" sessions in Lagos. This release is fully licensed with Keni Okulolo. Talkin' Bass Experience is very hard to find, so don't hesitate to listen to this remastered Afro-soul gem. 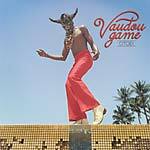 When faced with the decision to take a different direction at the risk of getting lost in a synthetic sound or to further explore the same musical path, Vaudou Game, a tight-knit group with a solid groove, did not need to consult the oracle for very long. When it came time for them to harness their Afro-funk sound for a second album, they turned their attention once again to their analog strengths. Vintage material, instruments produced in the '70s and cassette tapes were the "grigris" (or lucky charms) which proved most effective to ward off digital corruption.